These look pretty neat! Head over to get one of these Travel Toiletry Bags for ONLY $13.99 (Retail $49.99)! This Portable Travel Toiletry Bag is the best choice and ideal companion for any traveler. It can be put in any kinds of suitcases. It makes your toiletries easily packed and efficiently organized! Keep your traveling comfortably, have all your necessities right at hand and can find the thing you want at a glance, no more digging or dumping everything out to find what you need. When at home you can save up room or keep your bathroom more organized. This bag can not only be used as a toiletry bag but also can be used as a makeup bag, dopp kit, bathroom bag, cosmetic pouch, shaving kits, hygiene kit, etc. 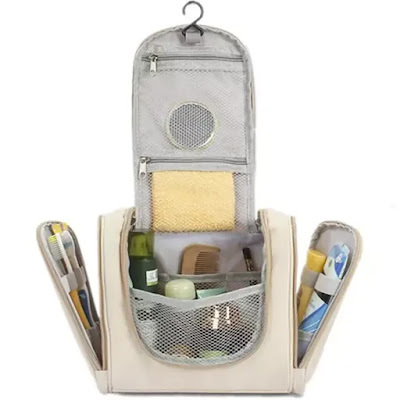 Ideal for business trip, vacation, gym, makeup, outdoors activities, picnic, bathroom organization and more. Excellent capacity can meet all your different needs.